Yes! It’s finally fall, the best time of the year, and my favourite time for new books. Here’s what I’ll be reading this month whilst consuming cups of tea. 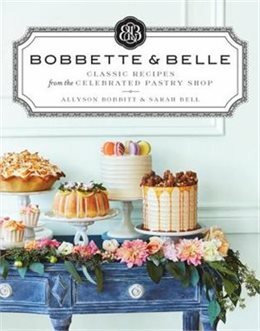 Bobbette & Belle: Classic Recipes from the Celebrated Pastry Shop Bobbette & Belle is one of my favorite bakeries in Toronto! They are super cute inside and make delicious cakes and hot chocolate. They are finally sharing their recipes with the world in their very first book! Allyson and Sarah share their most loved recipes that fill their French-inspired pastry shops, from Soft and Chewy Ginger Cookies and Dark Chocolate Brownie Fudge Cake to Caramelized Almond Torte and Mile-High Lemon Meringue Pie. Over 100 recipes and variations including classic cookies and bars; cupcakes and layer cakes; loaves, scones, bundts and tortes; crumbles, tarts and pies; French macarons; confections and more to create your own magical world of sweets at home. 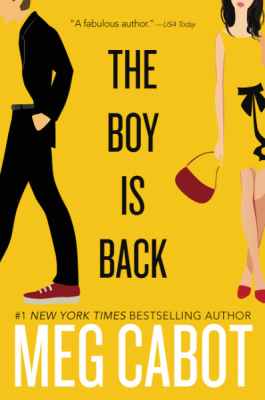 The Boy is Back by Meg Cabot: Reed Stewart thought he’d left all his small town troubles—including a broken heart—behind when he ditched tiny Bloomville, Indiana, ten years ago to become rich and famous on the professional golf circuit. Then one tiny post on the Internet causes all of those troubles to return . . . with a vengeance. Becky Flowers has worked hard to build her successful senior relocation business, but she’s worked even harder to forget Reed Stewart ever existed. She has absolutely no intention of seeing him when he returns—until his family hires her to save his parents. Otherworld Chills: Final Tales of the Otherworld by Kelley Armstrong. Sob! I hope these really aren’t the final tales. I love this series too much to let go. The fifth and final collection of stories–including an original novella exclusive to this book–featuring the fascinating werewolves, witches, necromancers, angels and demons of Kelley Armstrong’s internationally bestselling Women of the Otherworld series. A must-have for fans! 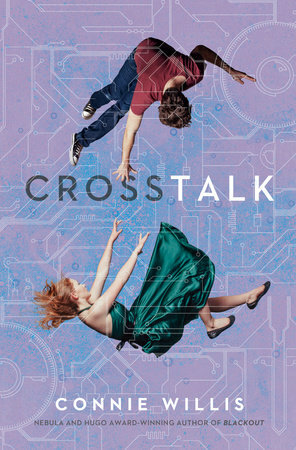 Crosstalk by Connie Williams In the not-too-distant future, a simple outpatient procedure to increase empathy between romantic partners has become all the rage. And Briddey Flannigan is delighted when her boyfriend, Trent, suggests undergoing the operation prior to a marriage proposal—to enjoy better emotional connection and a perfect relationship with complete communication and understanding. But things don’t quite work out as planned, and Briddey finds herself connected to someone else entirely—in a way far beyond what she signed up for.